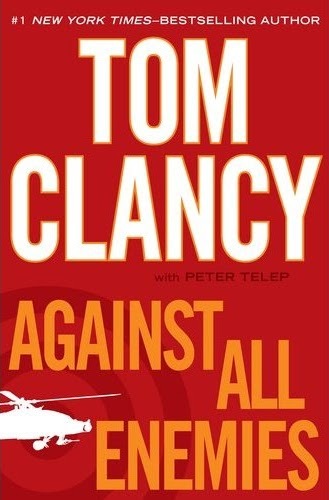 AGAINST ALL ENEMIES-A STAND ALONE TOM CLANCY! I have just completed Against All Enemies sans Jack Ryan but ex-Navy-Seal Maxwell Moore carries forward Clancy’s genius for crafting fabulous thrillers. 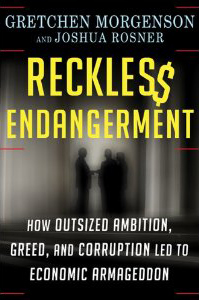 A warning, when you arrive at Chapter 42 clear your schedule because you will not be able to put this book down until the last page. If you love Tom Clancy do not leave for summer vacation without Against All Enemies. Those of us who have already read Dead or Alive will have to wait for the next Clancy volume to find out who wins the election! Tom Clancy Back to Back After Ten Years/ Prescient! Just caught up with Tom Clancy’s fourteenth novel, Dead or Alive. Published just last year after a ten-year hiatus Clancy has yet another new book just out, Against All Fears ( 2011) written with Peter Telep. 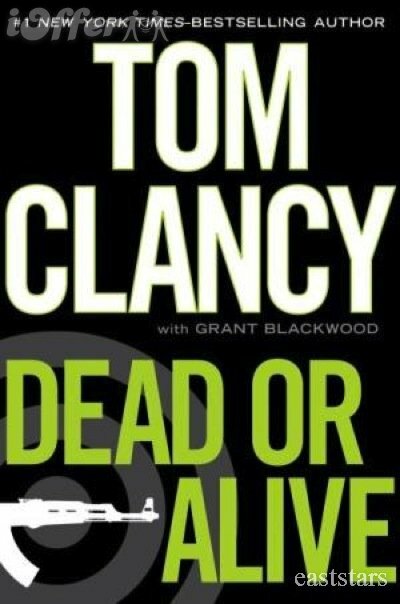 Dead of Alive written in conjunction with Clint Blackwood brings back Jack Ryan, Jack Jr. and many of the familiar Clancy players in the search for the “Emir” a thinly veiled hunt for Osama Bin Laden. As always, even though it was written a year before Bin Laden was shot and killed by Navy Seals, Clancy’s novel in great part nailed the scenario including ” Hiding in plain sight!” Every Clancy fan will love the book, thick as always, filled with detail and action. Of course Tom Clancy novels are most enjoyable if you have had the privilege of reading them in sequence, and I have been that fortunate. Starting with Hunt for Red October and just finishing Dead or Alive I have read them all and now have Against All Fears in the queue. I would find it difficult to choose one favorite so I will name three of the fourteen! The Cardinal of the Kremlin ( 1988), Clear and Present Danger( 1989), and Without Remorse ( 1991). If you have not read Tom Clancy you have missed the master of intrigue who ties his books to reality and world events in an incredibly prescient manner. Here is the list in order of publication : The Hunt for Red October( 1984), Red Storm Rising(1986), Patriot Games (1987), The Cardinal of the Kremlin(1988), Clear and Present Danger(1989), The Sum of All Fears(1991), Without Remorse(1993), Debt of Honor(1994), Executive Orders( 1996), Rainbow Six( 1998), The Bear and the Dragon( 2000), Red Rabbit( 2001), The Teeth of the Tiger( 2003), Dead or Alive( 2010), Against All Enemies(2011) Enjoy! Yes, many are frightenly prescient! Gordon’s Good Reads appears in the July-August issue of VENU Magazine now available at choice cultural and retail establishments in Fairfield and Westchester Counties. This issue of VENU also contains a fabulous review of the Woody Allen movie Midnight in Paris among other great articles on art, automobiles, entertainment and fashion. Enjoy!